Allow your customer to adjust the height of their table, the length of their bench, the size of their carpet. 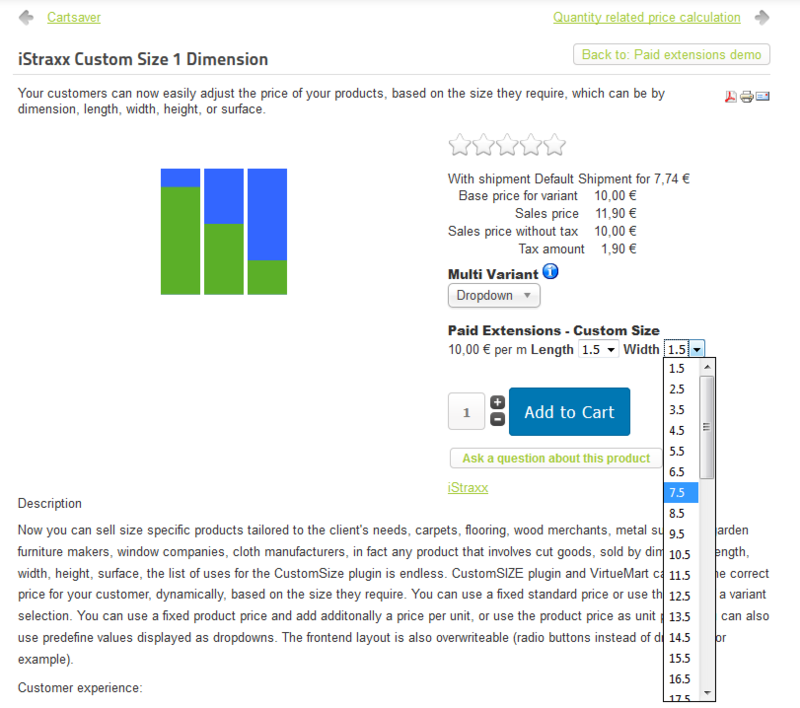 Now you can sell size specific products tailored to the client's needs: carpets, flooring, wood merchants, metal suppliers, garden furniture makers, window companies, cloth manufacturers, in fact any product that involves cut goods, sold by dimension, length, width, height, surface, the list of uses for the CustomSize plugin is endless. 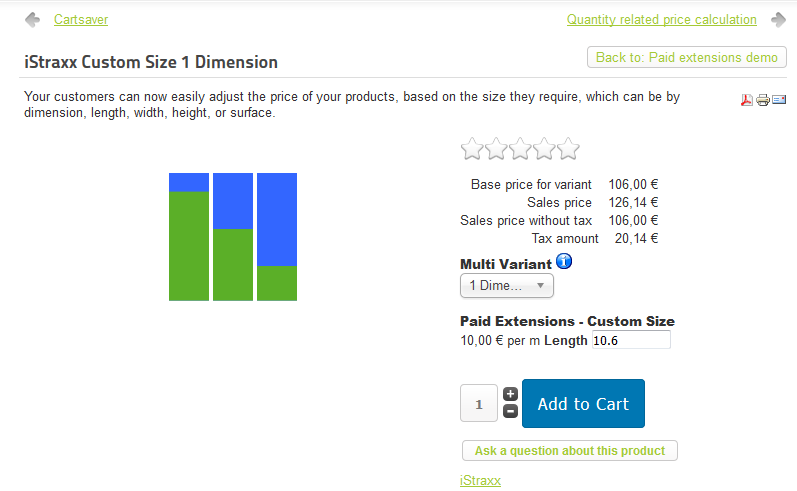 CustomSIZE plugin and VirtueMart calculate the correct price for your customer dynamically, based on the size they require. You can use a fixed standard price or use the price of a variant selection. You can use a fixed product price and add additonally a price per unit, or use the product price as unit price. You can also use predefine values displayed as dropdowns. The frontend layout is also overwriteable (radio buttons instead of dropdown for example). The offset can be used as the base price as a kind of service (for example selling parquet flooring). The CustomSIZE plugin blows open the doors, to enable you to offer custom sized products, based on what your customers want and need. Well, this is an amazing product with amazing support. I did not understand some translation issues... my bad but Matej took the time to explain very concise and it worked right away. Thanks for supporting me.